The Desultory Theatre Club and Snapper Magee’s proudly present…. Our 3rd Annual…. If you were there to catch any of the chaos from our robot themed rock n roll dance parties over the last few years, then you enjoyed dancing to some pretty awesome music surrounded by robots–or chances are that you were you were even a robot yourself!! So come to Snapper Magee’s, dress like a robot (or not), and dance, laugh, and rock the night away with 3 awesome bands! From CT we have CHICA NON GRATA and JENNIFER HILL! Also returning this year from NYC, it’s THE FANTASTIC PLASTICS!! Can your sonic capacitor handle this kind of heat Torrington? And it’s ONLY FIVE BUCKS!! That’s only 5 SMACKERS!! 21 & Over! Get ready to drink and win some Prizes!! Best Robot Costume, Sexiest Robot Costume and Robot with the Best Dance Moves!! Also… Mystery Prizes?!? Do you have what it takes? You don’t have to be a robot to have a great time! 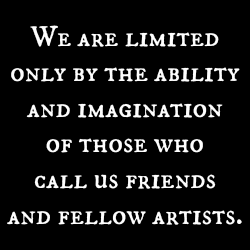 …but we encourage you to let your imagination run WILD!! Who knows what the night has in store for us?!?!?!? Cash only, so plan accordingly (there are ATMs in the nearby Stop & Shop and TD Bank)! This entry was posted in Dance Party, Local Music and tagged Chica Non Grata, Jennifer Hill & Co, robot dance off, The Fantastic Plastics. Bookmark the permalink.